If you are a migraine sufferer, you will be able to relate to the main character in this story. We’ll call him Alan. Alan was a migraine sufferer for years. He dealt with severe, throbbing headaches that grew worse with exertion, almost on a daily basis. It affected his ability to work, and even his ability to relax and enjoy social events. Can you relate so far? Sensory sensitivities – Sounds, in particular, were extremely irritating. He even found it difficult to eat at the dinner table with his wife during a migraine. She wasn’t a loud chewer by any means, but even just the repeating sounds would get to him. Vision symptoms – During his migraines, Alan’s vision would go blurry. This was frightening, especially before he learned that temporary vision problems are a migraine symptom. Sometimes the vision symptoms occurred without a headache, but these were also migraines. As many as 10-15% of migraines occur without a headache. Neck pain – Alan suffered from neck pain on a regular basis. He assumed that this was due to a car accident and a sports injury, both or which he had sustained in his late teens. Often the pain would start in the neck and radiate upwards until a throbbing headache set in. This is a common symptom, experienced by about 75% of migraineurs. Do you experience some of these same symptoms? Many migraineurs do, so rest assured that you are not alone. Families with a migraineur spend about 70% more on healthcare according to the Migraine Research Foundation. This left Alan frustrated and wanting to find a natural way to get relief. The over-the-counter painkillers would dull the pain, but the frequency of the migraines was growing worse. Unfortunately, Alan didn’t know that the medication could actually be causing the more frequent attacks. Many over-the-counter pain relievers, if used too often, can actually cause headaches. This just helped things ramp up into a vicious cycle. Have you found yourself caught in the trap of rebound headaches due to medication overuse? Do you find that migraine treatments are expensive and disappointing? At this point, Alan was growing depressed about the way migraines were affecting his life. He was determined to muddle through but had to take things one day at a time. Finally, he found something that would change his life forever. It was at this point that Alan first read about upper cervical chiropractic care. 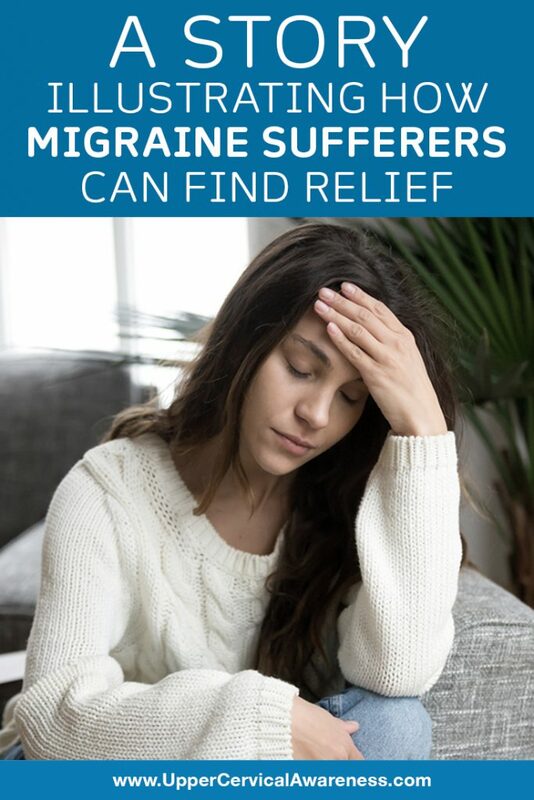 He happened across some research regarding natural migraine relief that could be attained by correcting misalignments of the C1 and C2 vertebrae. He even read some case studies that revealed there were patients who became completely migraine-free after just 1-2 upper cervical adjustments. It sounded too good to be true, but he had already tried everything else. After a quick search, Alan found an upper cervical chiropractor about an hour from his home. The doctor kindly offered a brief consultation over the phone. Since Alan had a history of neck trauma and suffered from neck pain along with his migraines, the practitioner was almost certain that upper cervical chiropractic would help. You can find a preferred upper cervical practitioner near you with a quick search on this website. At his first visit with the upper cervical chiropractor, Alan filled out paperwork that included an extensive patient history. This helped him to recognize some other symptoms he was experiencing that he never even related to his migraines such as vertigo and nausea. He was certain to write down his past neck injuries even though they had occurred decades earlier. The examination included diagnostic imaging techniques that allowed the practitioner to pinpoint the exact location and degree of an existing upper cervical misalignment. The doctor provided an extremely gentle adjustment. At first, it seemed as though little was done. There were no popping or cracking sounds, and certainly no twisting of the neck. Was this just another waste of time and money? The next day, Alan noticed that he was migraine-free, but he didn’t get his hopes up yet. After all, he did have occasional migraine-free days. But as the days went by, Alan began to realize that this wasn’t a coincidence. He wasn’t just having fewer migraines. He had no more migraines at all! He was finally able to put in long, hard days of work and really enjoy his time with his family on the weekend. They even took a day trip to the zoo. Can You Get the Same Results? What happened for Alan may sound like a nice fantasy, but the fact is that most upper cervical chiropractors have helped hundreds of patients in this exact scenario. While not all patients become completely migraine-free, the great majority find that they have more energy and are able to accomplish more. Most people find significant relief as migraine attacks become less frequent and severe. You have to try it for yourself to find out if upper cervical chiropractic is the natural form of care that you have been searching for. Find a practitioner in your area today and schedule an appointment to see if this is the right therapy for you.